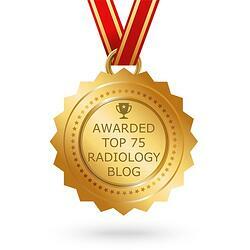 If you’ve visited the Atlantis Worldwide website before you may remember a blog we posted a little over 2 years ago. It focused on the risks and dangers of buying C-Arms on eBay. No, we’re not kidding some doctor’s offices have actually considered this. Feel free to click this following link to jog your memory! Now you might be thinking to yourself, “why would Atlantis Worldwide rewrite a blog that they’ve already written?” The answer is simple really. 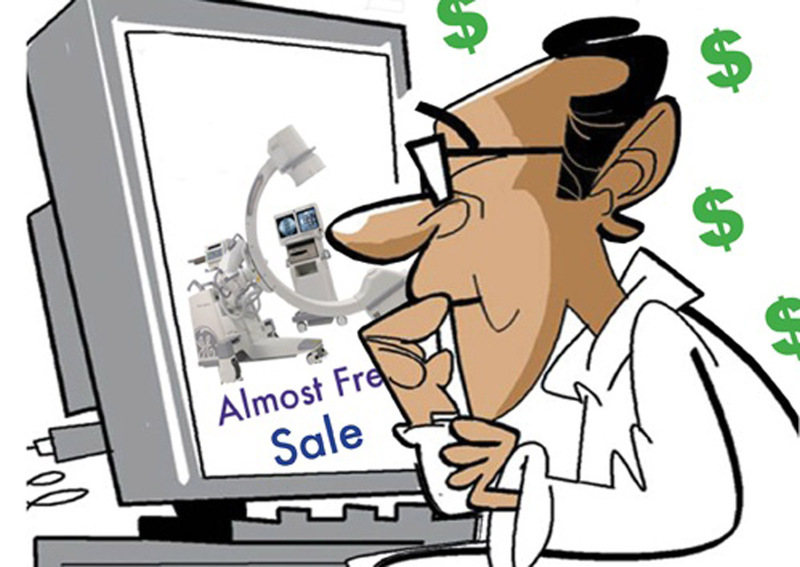 We feel so strongly about this topic that we want to reinforce the risks and highlight the challenges you face when looking to buy a highly complex piece of medical equipment from someone other than a reliable source. And considering all the sources for buying stuff on the internet - Amazon, Craigslist, Facebook, eBay, etc. – we figure it’s even more important than ever to understand exactly what you are getting yourself into when buying C-Arms, or any other medical equipment off of the internet. On the surface, buying a C-Arm off the Internet seems convenient and fortuitous. The OEC 9800 that you have been wanting but unable to afford is available on Craigslist for half the price of what you've been quoted by every company in our industry. The pictures look fantastic and the guy responding to your emails from an unknown email address says the system works perfectly. Well the reason that it seems too good to be true is simple – it’s too good to be true. Just because you see pictures of a C-Arm system that looks like its in great condition doesn't actually mean that it is, or that it’s the actual system you’ll receive. Or that it was obtained legally. This is the Internet, for all you know the pictures you’re being sent are of a different system or were taken from another website. How do you know you’re not being catfished? Is this a bait and switch? Is it worth the stress? But lets move forward and assume the anonymous Craigslist ad or eBay post contains real pictures of the exact C-Arm you’re being offered. You’ll need to see it firsthand and you’ll need to inspect it, because you should never buy any complex medical system without thoroughly scrutinizing it first. There could be problems with the equipment that the seller doesn't even know exists. There could be artifacts in the image intensifier or cuts in the interconnect cable. The X-Ray Tube might be noisy or there could be one of countless other issues that only a properly trained service engineer would recognize. Now let’s assume that you get lucky and the system looks acceptable and works well. Now you are going to have to pay for the system in full and in advance, before being allowed to pick it up. They’re probably not going to include a warranty or insurance during shipping so you’ll need to start thinking about those logistics. You’ll need to coordinate the shipment of this system. C-Arms, despite their durability in a medical practice, can be very fragile if not packaged appropriately and strapped down appropriately during shipment. If that C-Arm arrives at your location with issues, you probably will have no recourse with the seller or the shipper. So let’s say that the system looks acceptable, works well and stayed that way during shipment. There is a very good chance that all the patient information from prior procedures is still prevalent on the C-Arm’s hard drive. This is a major violation of the HIPPA Laws and you will be forced to have it removed prior to using the C-Arm. You will also have to find an engineer that can fill out the FDA 2579 form so that the system is appropriately registered with the State and Federal Government. Not being compliant with either of these possibilities will ensure that the C-Arm fails the physicist inspection that is necessary prior to your being able to start performing procedures on patients. Now lets assume (we are making a lot of assumptions here) that the system looks acceptable, works well, stayed that way during shipment, had all the patient information removed in advance, and you know an engineer that can file the FDA 2579 paperwork on your behalf. This system is not refurbished and won't come with a warranty. Even if the system works perfectly once it arrives at your location it is very possible that an issue can present itself soon after you receive it. It will then be your responsibility and financial burden to get the system fixed. When you buy a C-Arm from Atlantis Worldwide, you don't have to worry about any of this or make assumptions. You will receive a fully refurbished and functional system that comes with a warranty. In addition we can tailor payment terms around each of our clients financial capabilities. We remove all the prior patient information during the refurbishment process, we safely deliver and install the C-Arm at your location, and file the necessary FDA 2579 paperwork on your behalf. We also warranty the C-Arm to make sure that you have nothing to worry about in regards to the continued functionality of your C-Arm. There’s a working theory in this industry that everybody will eventually pay the same price for a C-Arm. You just have to decide whether you want to pay that price upfront for a quality product and service, or pay it later when something goes wrong or hidden issues arise. When you have a business to run, staff to pay and patients to see – do you want to worry about your equipment, or do you want to know your investment is protected by a warranty and backed by professionally trained engineers? Sure, you can assume that nothing will go wrong when you buy a random C-Arm off the Internet, but we all know what happens when you assume. 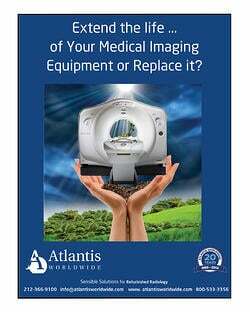 Hopefully after reading this article you will know the very real risks associated with randomly purchasing a C-Arm online and decide to work with the established and trustworthy professionals at Atlantis Worldwide. 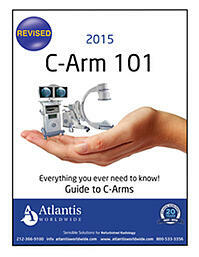 2015 C-Arm Prices: Hot off the press!